"Toyota has become as much a part of South African culture as the vibrant South Africans that drive our vehicles." 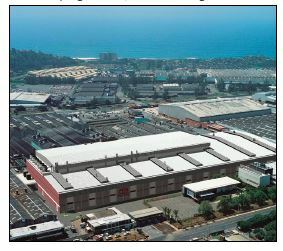 Toyota's heritage in South Africa spans more than 56 years and the company has been the beneficiary of ongoing investment since its manufacturing inception in 1972 when the company started operations at Prospecton near Durban. 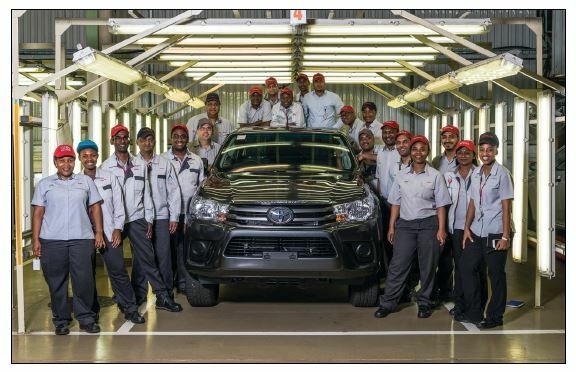 Toyota is committed to South Africa by strategically investing in the people, tools and equipment to produce cars and commercial vehicles of world-class standard. 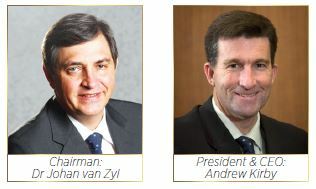 Toyota South Africa Motors (TSAM) is the largest automaker in South Africa, manufacturing no fewer than five individual models (Hilux, Fortuner, Corolla, Corolla Quest and Quantum) as well as selected Hino and Dyna models. In 2016, Toyota invested over R6,1 billion to facilitate production of the all-new Hilux and Fortuner at its Prospecton plant. Many of these vehicles are not only destined for the domestic market, but will also fly TSAM's flag high on the international stage thanks to a robust export plan TSAM is extremely proud that its locallyproduced Hilux will be supplied to 16 United Nation affiliated programmes, funds and agencies. These include the World Health Organisation (WHO), the United Nations Children's Fund (UNICHEF) and the International Federation of Red Cross and Red Crescent Societies (UNIRFC). In addition to producing and supplying fully builtup light commercial and passenger vehicles (CBUs) to the globe, TSAM exports new components to Thailand for the use in their own Hilux / Fortuner / Innova production facilities. This business adds significant value to the local supply chain while acting as another important milestone in TSAM's growth as an exports' hub at the base of Africa. TSAM strives continuously to improve systems and technologies to deliver the best quality vehicles to customers, vehicles that meet customers; needs and their high expectations of what the Toyota brand epitomises. In addition, TSAM is dedicated and committed to supplying parts, accessories and services that meet the requirements of the South African and export markets that it services. The Toyota Empowerment Trust which was seeded with R42-million in start-up funding and focuses on skills and enterprise development initiatives in the automotive industry was launched in 2017. Initially, it will facilitate the training and qualification of specialised automation technicians. "The TET will implement training and enterprise development initiatives alongside and in support of our other education initiatives," says TSAM CEO Andrew Kirby. "These include our Toyota Teach programme that supports over nine primary schools and our Toyota Technical Education Programme (T-TEP) that supports, and often manages, technical high schools in KwaZulu-Natal and Gauteng." Toyota has already started with the creation of a fully equipped robotics and automation training facility in Durban. This facility will train technicians in the maintenance of complex manufacturing equipment, such as welding and spray painting robots. The new robotics and automation facility will form part of TALA, Toyota's corporate training division. TALA has campuses in Gauteng and Durban. In addition to the training, the TET will eventually be able to support qualified technicians to start their own maintenance firms, and to offer this specialist service to Toyota and other vehicle manufacturers in South Africa. "As the largest vehicle manufacturer in South Africa, we are ideally suited to offer this type of training," says Kirby. "Trainees will be able to hone their skills at our manufacturing facility in Prospecton, Durban, and we will no doubt use their new talents to full effect at our plant." "I trust that many of the trainees will find employment at our plant or, in the case of prospective small business owners, a stable base of work from where they can expand their services to other manufacturers." Training is the key to the success of TSAM and is therefore all-encompassing; from assembly-line team members to dealer personnel. This does not only involve skills transfer, but also extends to 'imbibing' the Toyota culture of a caring company, transformation in the work place and development of a well-trained, integrated supply chain. Kirby said, "Our business is not just about manufacturing vehicles; it's about making ever-better vehicles and the only way we can accomplish this, is by investing in the people who build our vehicles."